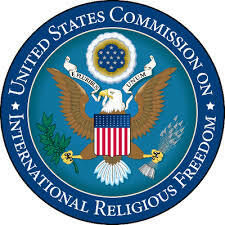 We are working with the US Commission for International Religious Freedom to highlight individuals around the world who have been imprisoned for exercising their freedom of religion or belief. USCIRF's Religious Prisoners of Conscience Project highlights individuals imprisoned for exercising their freedom of religion or belief. Through the project, USCIRF Commissioners advocate for specific prisoners, hoping to raise awareness of these and other prisoners, reduce their number, and highlight the country conditions that led to their imprisonment. Half of the prisoners of conscience that IPPFORB has advocated for have been released. Evidence shows how effective the dedicated advocacy of parliamentarians can be in working for their release. Writing to the government of the country concerned. Raising awareness of the case in your own parliament and with your own government. Discussing the case with civil society organisations working in this area. Join with other parliamentarians in taking individual action to advocate for specific prisoners, raise awareness of these and other prisoners, reduce their number, and highlight the country conditions that led to their imprisonment. To learn more about the project and find further information on specific prisoners, please visit the USIRF project. Let us know if you take up the case of a specific prisoner so we can use our social media channels to support your efforts by sharing it with others. Your efforts will give encouragement to the prisoner concerned that he or she has not been forgotten.